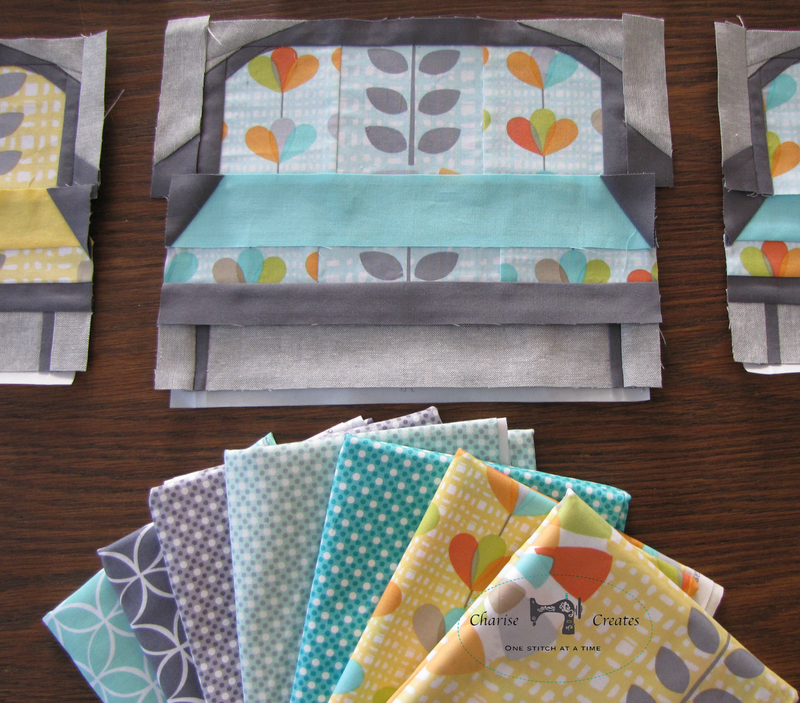 I love a challenge ~ especially one that involves fabric. 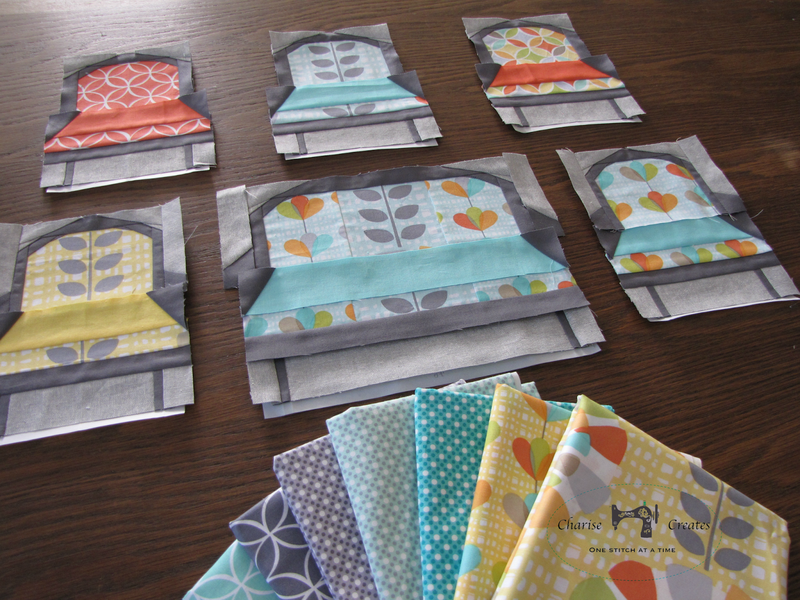 The Modern Quilt Guild's latest challenge is to use Michael Miller's Petal Pinwheels fabric to make a quilted project. I got the bundle and knew exactly what I wanted to make! The motifs have an Orla Kiely vibe and I had a paper piecing pattern I designed 1 1/2 years ago that would be perfect for the fabric! Only problem, I needed all the prints to finish the project! Well..... today I got the package with the remaining fabrics. I love how the Michael Miller's Dim Dots fabric works with the Petal pinwheels line. OK ~ off to sneak in a bit more sewing this evening! Your chairs are amazing! They look like actual 3d objects! Fantastic work! I have to admit, for a minute I thought they were real chairs, then I saw your name. You're so gifted with paper pieced designs. Too cute! I bet they do take a while, but well worth it...they are gorgeous. These blocks are wonderful! I like the way you have fussy cut the fabrics. I love these. 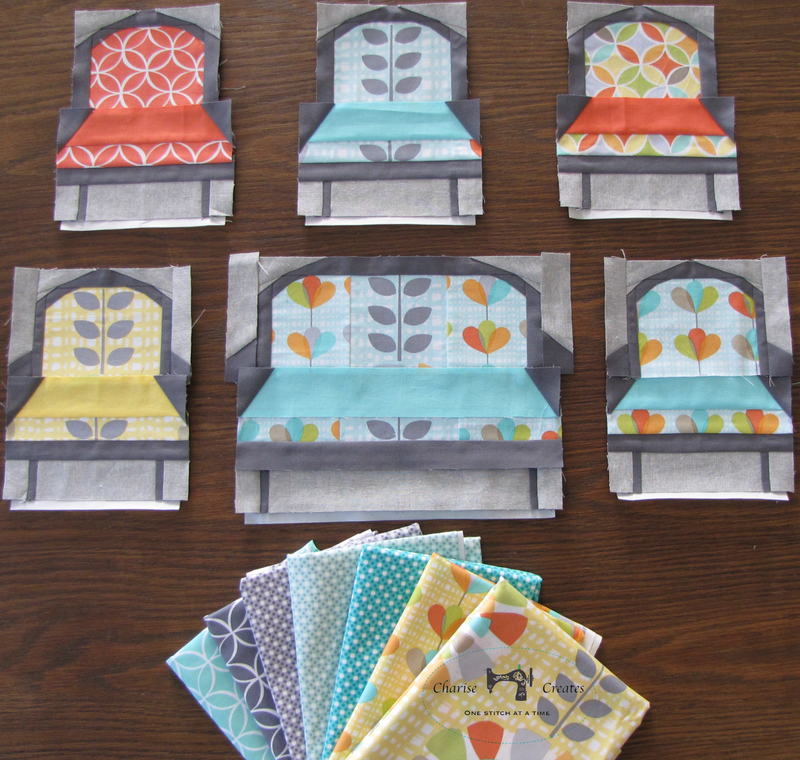 What a great way to use these fabrics!! This is my favorite. MM challenge yet! I hope you win. Oh, Charise, please, please tell me that the cutest paper pieced pattern ever might be available to purchase. My daughter is starting college this year and I know a quilt made of chairs and sofas would be perfect for my fashionista! Love, love, love them!!! This is all kinds of amazing! Love where you're headed.